It is virtually impossible to imagine an Orthodox Christian church service without candles. Among the vast array of candle stands and holders used in church, the humble hand held candle holder stands out for its usefulness. 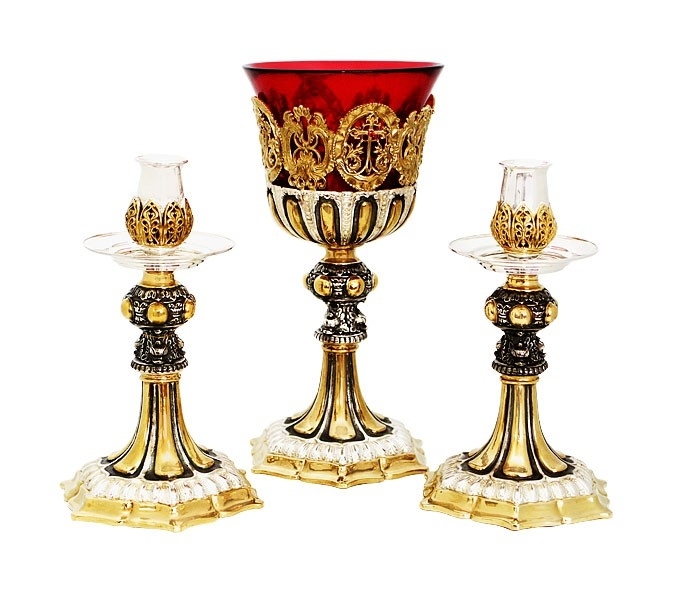 At Istok Church Supplies, we have a large collection of church hand candle holders for sale that not only serve their function perfectly but are also beautiful to look at. Whether it is for members of clergy, servers or members of the congregation, there are many occasions that require hand held candle holders. For example, during a sacred ceremony like the Paschal procession around the Church, hand candle holders allow participants to immerse themselves in spirituality and joy without being distracted. Likewise, for other services throughout the year these holders are absolutely essential. They protect the person holding the candle from injury. 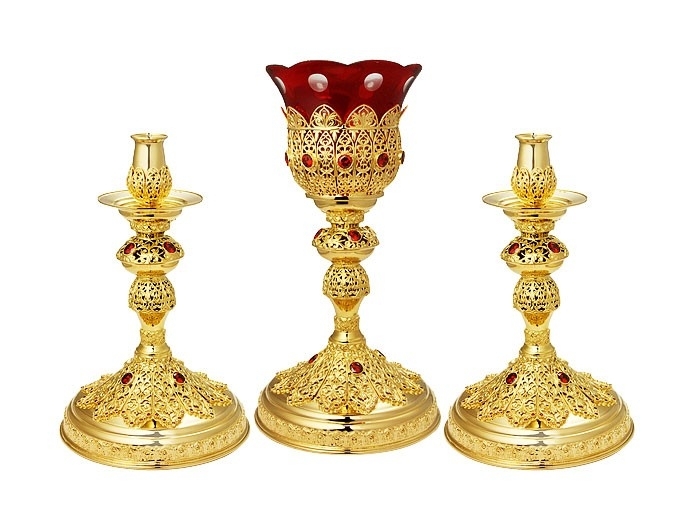 Being one of the leading Orthodox Church candle holders’ suppliers in the world, we have a broad range of designs that would suit any taste. 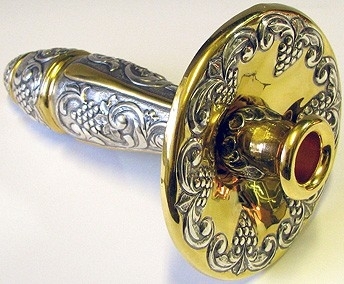 We offer our products in different materials such as stainless steel and wood, stainless steel and ebonite, and brass with or without gold gilding and chasing. 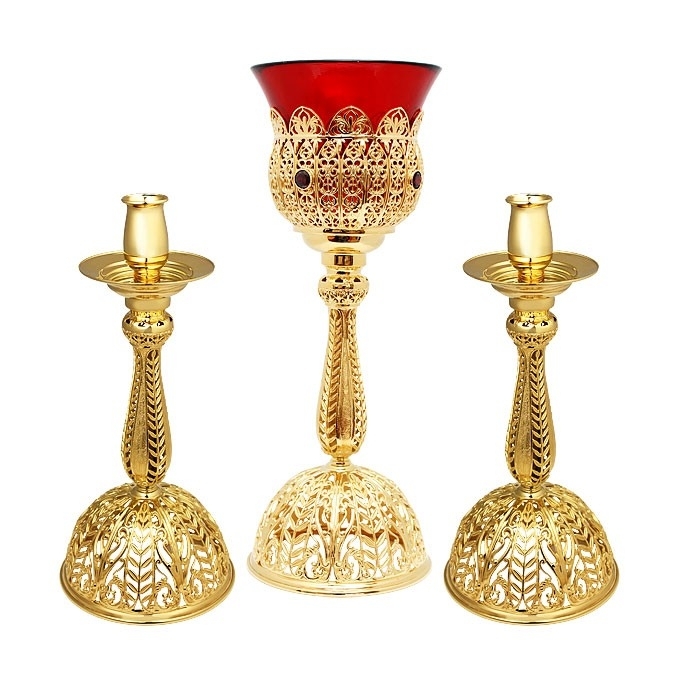 Our magnificently jeweled hand candle holders are quite fetching and would add immense beauty to any church service. We also have exclusive items such as a Deacon’s processional candle support. 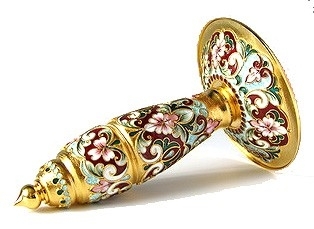 All the products in this category are made by talented craftsmen in Europe who have respect for and knowledge of traditional Orthodox Christian designs. Customers are requested to look at the dimensions provided in the product description section to find an exact match for their requirements. There is no doubt that you will save with our low prices. We also offer candle holders wholesale for churches at special attractive rates. The more you purchase, the more you save. Order all your church supplies requirements at our online store and make massive savings! Hurry before stocks run out!